Nicole Campbell is a professional dancer, choreographer and instructor currently based in Atlanta. 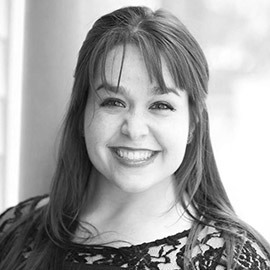 Nicole received her BS in dance from Wayne State University after her childhood training at Robert Lee School of Dance and Churchill High School's Creative and Performing Arts program. Her performance credits include Hannibal Buress, Maksim Chmerkovskiy, JTDance, Gotta Dance Contemporary, Flash Mob America, Melodic Nocturne Dance Tribe, MadHouse: The Company and halftime shows for the Detroit Lions and Detroit Pistons. Nicole's choreographic works have been presented in concerts for artLabJ, DanceATHENS and MoreDances Contemporary Dance Company in addition to receiving frequent top honors in competitions. As a result of Nicole's emphasis on energy and emotional execution in her classes, many of her students have received scholarships, special awards, high scores and professional jobs. Several alumni are now pursuing their own higher education in dance and dance careers. Nicole continues to perform, teach and choreograph around the country.